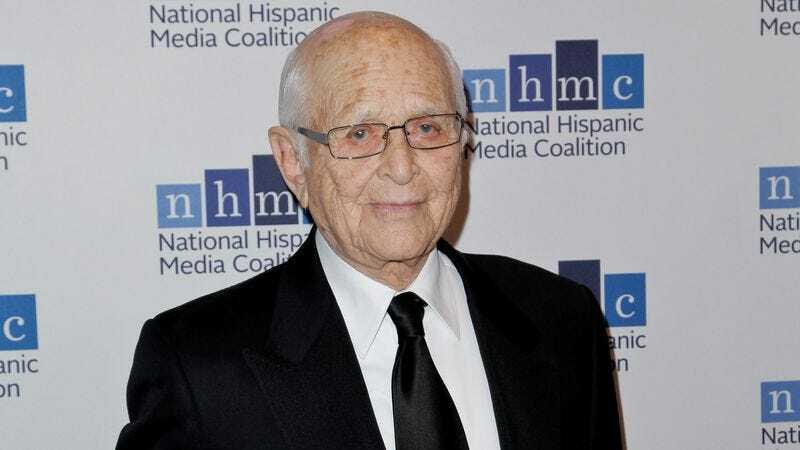 According to Entertainment Weekly, Norman Lear will be making a “brief cameo” in an upcoming episode of The Simpsons. He’ll be playing himself in a scene that EW says “involves the theme song from one of his shows,” meaning The Simpsons will probably be making a very timely reference to All In The Family, The Jeffersons, Good Times, or one of the many other shows Lear worked on in his career. The episode itself will air at some point in the fall as part of the show’s 29th season. On Twitter, Lear suggested that every moment of his life has been leading up to this, which is pretty huge considering that he was already in his 60s when the show premiered.